With a Kindergartener and a First Grader in our home - encouraging and fostering a love of reading is at the top of my list. I am an avid book reader. I have been since I first started reading. I would love to pass that along to my girls. I love losing myself in a good book. There's nothing better than becoming so engrossed in the characters or the plot that I can't go to sleep because I MUST find out what happens next. Give me the choice between reading a book or watching a movie/tv show and it's no contest - I would pick the book. These days, my nights are filled with many more picture books and early chapter books than NY Times Bestsellers but I wouldn't have it any other way. The Oldest Diva and I had a bumpy course last year. She was a "reluctant" reader. I can't tell you how many games we played and how many different types of books we read, in the hopes that something would spark her interest. It worked! We are now at the point where she picks up a book to read - for FUN! We are currently going through the Magic Tree House series together and she can't get enough of them. Of course, it's now back to the drawing board with my current kindergartener. Luckily, I have an arsenal at my fingertips and she is more enthusiastic about reading. With the holidays fast approaching, I thought it was the perfect time to share some of my favorite games, books and resources for budding readers. Hopefully, this list will help you and your budding reader. 1. A Boxed Set of their Favorite Series - I'm sure you have heard the saying, "If it ain't broke, don't fix it." If your child has a series they really enjoy reading, go with it. Capitalize on their interest and read all the books you can get your hands on. If they enjoy the characters, the illustrations and/or the author's writing - use it to your advantage to keep them engaged and turning the pages. There will be lots of time to expose them to different types of books and different authors. The most important thing is to nurture their desire to read, to encourage them to continue taking those steps to becoming a "reader" and NOT make it a chore. 2. A Magazine Subscription - Even the most reluctant readers usually enjoy a fun magazine and it's a gift that keeps coming all year long. 3. uKloo: Early Reader Treasure Hunt Game - Kids find hidden clue cards as they hunt around the house - while reading! This is such a sneaky way to get kids reading as they play. 4. Sequence: Letters - A fun game that practices beginning letter sounds. This is great for younger readers (PK- early K). 5. Zingo Sight Words - My kindergartener loves to play this game. It combines learning and fun, in a way that makes learning sight words a breeze. 6. Snap It Up! - Kids love card games and this one is actually a great teaching tool. I used it all the time with my struggling readers and now I use it at home with my girls to practice reading, spelling & phonics skills. 7. Educational DVD's - There are lots of learning resources around but here are a few of our personal pavers. 8. Tag Reader - Both my girls have really enjoyed the Tag reader. They make reading fun and can foster reading comprehension skills with their interactive games. 9. A Tent - Provide a fun reading nook/space for your child to read in. 10. No space for a tent? How about a bean bag chair or something similar/comfy - that's what we have! 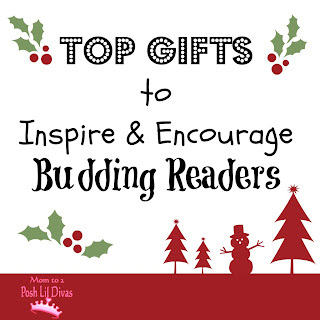 We have so many great gift guides to share! Be sure to check out the links above, our Pinterest Board and the linky party below for some other fabulous gift guides and ideas. We'd love to have you share your holiday gift guides with us. 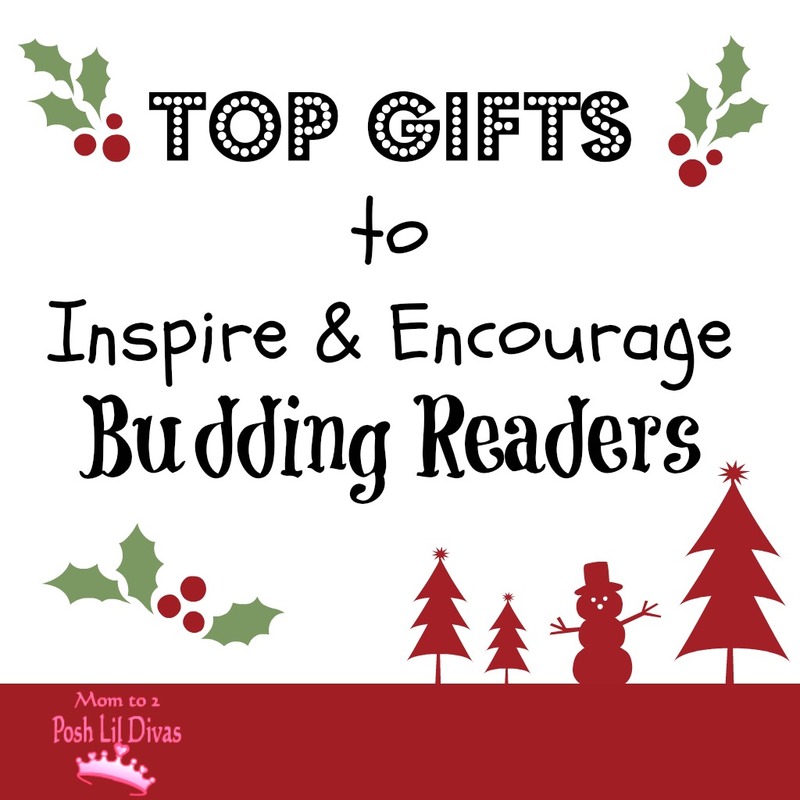 You may link up as many relevant family gift guides from your blog as you like. Please add The Huge Holiday Family Gift Guide button or a link to your post or blog. Commercial and off-topic links will be deleted. What a great list. So happy to know of children loving to read. We really enjoyed The Magic Treehouse books at our house. Wonderful series. Fantastic linky party! Great picks to get kids reading!